As the proud Worldwide Official Mobility Partner of the International Olympic Committee and the International Paralympic Committee, we celebrate the pinnacle of human movement. 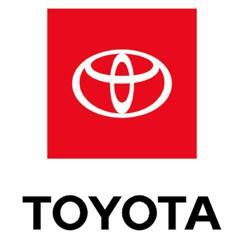 At Toyota, we believe when we are free to move, anything is possible. So we're on a mission to make movement better for everyone. We believe we can and will do great things. We are a company driven by imagination, experimentation, humility, respect and innovation. And we believe it is people, our people, who will go the extra mile to deliver to our customers all that Toyota promises to be, today and into the future. ABC Medical is the Official Medical Supply Partner of the National Wheelchair Basketball Association and has a long-standing history supporting the NWBA and its members. ABC Medical is a national leading provider of catheters and other urological and medical supplies. It is the only medical supply company with a core mission to help people with disabilities lead more active, healthier lifestyles. In addition to national support, ABC helps bolster local teams and leagues, making a difference in the lives of many individuals across the United States. Molten is the official basketball of the NWBA. Beginning in 1958, Molten Corporation has been manufacturing competition quality sports balls and sports equipment in several sport categories - including basketball, handball, soccer and volleyball. In addition to being the official basketball of the International Basketball Federation (FIBA), Molten is also the official ball of the NCAA Volleyball Championships, USA Volleyball, and numerous state associations, collegiate programs, conferences, and junior sports programs across the globe. Nike delivers innovative products, experiences and services to inspire athletes. 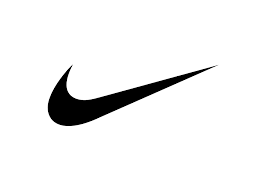 Nike has refined themselves as a superior athletic and fitness company that develops dependable and trustworthy products. Spinergy is the Official Wheel of the National Wheelchair Basketball Association. As a technology leader in the wheelchair industry since 1999, and in the bicycle industry since being founded in 1989, Spinergy is dedicated to producing the best performing wheels in the world. Per4Max engineers wheelchairs designed to fit individuals specifications, and tailored to their lifestyle needs. The lightweight, hand built products are made in the USA, and are the top choice for many of the world's elite athletes. 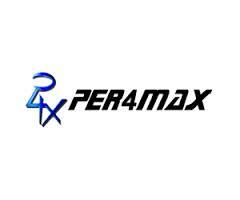 Per4Max has been a supportive partner of the NWBA, and continues to produce innovative wheelchairs for many NWBA members. Founded in 1988, RGK is a UK-based manufacturer of sport & daily made to measure wheelchairs. Every chair is unique to suit the requirements & individuality of its user. The highest quality materials are used to offer the lightest chairs on the market. Their team of mobility advisors can take you through the assessment process to create your perfect chair. Top End / Invacare has produced medal-winning performance wheelchairs for the best athletes in the world since its beginning in 1986. Their commitment and passion to design and manufacture sport specific wheelchairs have allowed many athletes to follow their dreams to be active and competitive. Eagle Sportschairs manufactures advanced recreational and elite competitive sports wheelchairs that are custom built for each athlete’s needs. Since its beginning in 1980, Eagle has grown and developed lighter, more maneuverable wheelchairs for professional and recreational athletes alike. More independence, greater financial security and a better quality of life – that’s the future ABLEnow is building. Save for today’s needs or invest for tomorrow in a simple, affordable and tax-advantaged ABLE account that won’t impact the means-tested benefits critical to the health and well-being of many with disabilities. As a successful entrepreneurial organization whose focus has always been on community, sports and efficiency, the founding team and employees of Stack Sports decided to take on the challenge of transforming youth sports. Since April 2016, Stack Sports has acquired 20 leading companies and have built the leading global sports technology Company focused on serving the youth sports ecosystem. We believe that wholesome nutrition is best obtained from a balanced diet, and that humans should strive to have access to affordable, natural foods. Nugevity’s mission is to enhance, prolong and protect human performance and quality of life, naturally.